No one expects to get a $600 bill for basic wireless Internet service. But according to CBC News, that’s exactly what happened to Darlene Davies of Chilliwack, British Columbia. Davies normally pays $60 a month to use Rogers unsecured Rocket hub WiFi hotspot access point at home. So she was shocked when her monthly bill arrived and it was for 10 times that amount. 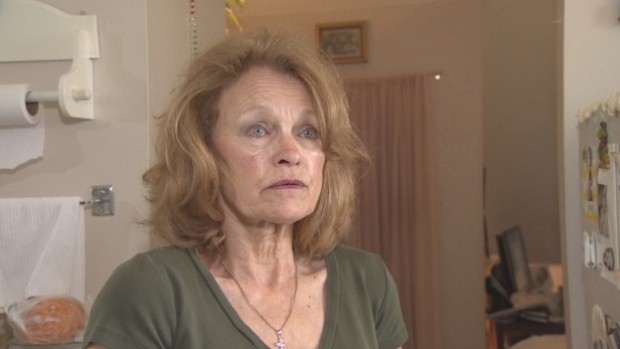 When the 65-year-old retiree asked her Internet service provider to explain the sky-high WiFi charges, it said they were for downloading movies, streaming TV shows and playing online games. But Davies said she doesn’t have a clue how to do any of those things. That didn’t sway her ISP. The online entertainment charges happened in Davies’ home, it said. So she was responsible. Meanwhile, another month went by, and the senior’s bill rose to over $800. Davies said she only uses the Internet to check her email; and she didn’t know she had to add password protection to secure her home wireless network. That meant her home WiFi connection was totally unprotected. Anyone within broadcast range of the WiFi router could connect to it without her permission. That’s why it’s called piggybacking. But while it might seem less dangerous than hacking, piggybacking can still lead to big financial losses for victims. That’s exactly what happened to Darlene Davies: Someone hopped on her unsecure home WiFi connection and went on an online joyride at her expense. Piggybacking is quite common. Yet many people with data plans – especially those who aren’t tech savvy – don’t know how to stop it. Remember, when you’re on an unsecure home WiFi network, your private information is public – just like it is on a WiFi hotspot. In addition to mooching off your Internet service, piggybackers might be able to access other computers on your network if their users have file sharing enabled. In the U.S. there’s a federal law that’s been used to prosecute people who piggyback on home WiFi networks. But if you’re a victim, don’t expect swift justice – or any justice at all. Like hackers, piggybackers are notoriously difficult to catch. Utilize WPA or even more robust WPA2 encryption instead of WEP encryption. The old WEP (Wired Equivalency Privacy) encryption has weaknesses that make it an easy target for cyber thieves. Change the default wireless network name and administrative password. Wireless devices generally come with pre-set names and passwords which are easy to locate online. Changing them makes it harder for hackers to access or infiltrate your wireless network. Disable the SSID broadcast choice, which allows anyone to access your wireless network. This will stop simple attacks, but not strikes by advanced hackers. Make sure your firewall is turned on and your antivirus and antimalware software is up-to-date. It can reduce the damage hackers can inflict should they gain access to your network. Limit access. Only allow authorized computers to access your network. Hardware connected to a network has a MAC (media access control) address. You can restrict access to your network by filtering MAC addresses. This will discourage accidental connections from neighbors, but not serious attacks by sophisticated hackers. Turn off your WiFi when you’re not going to be using it for a long time. Use a VPN (virtual private network) like PRIVATE WiFi to ensure that all the information transmitted over your wireless network goes through a secure tunnel. That makes it invisible to intruders.